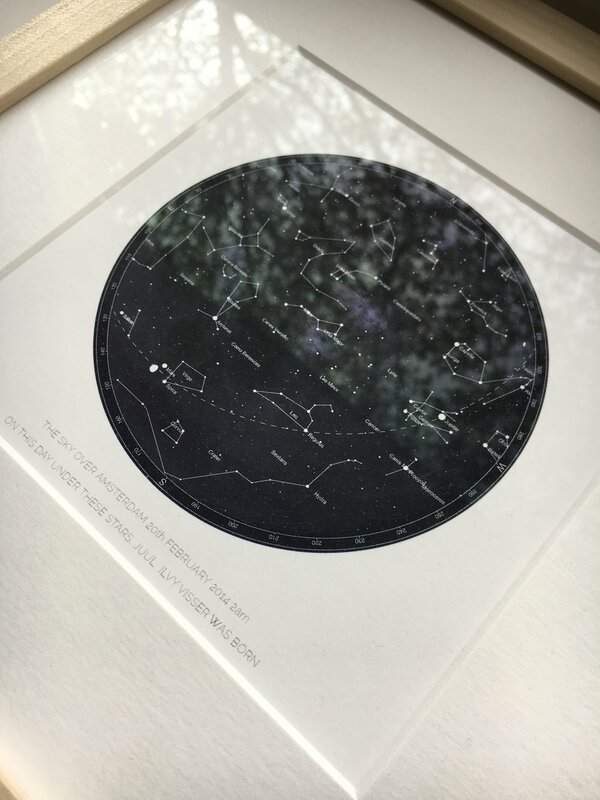 A NEW ARRIVAL, NEW HOUSE, SPECIAL BIRTHDAY, ANNIVERSARY, WEDDING DAY OR THE TIME WHEN EVERYTHING CHANGED FOREVER; STARMAPS ARE AN ELEGANT AND THOUGHTFUL GIFT FOR ANYONE. 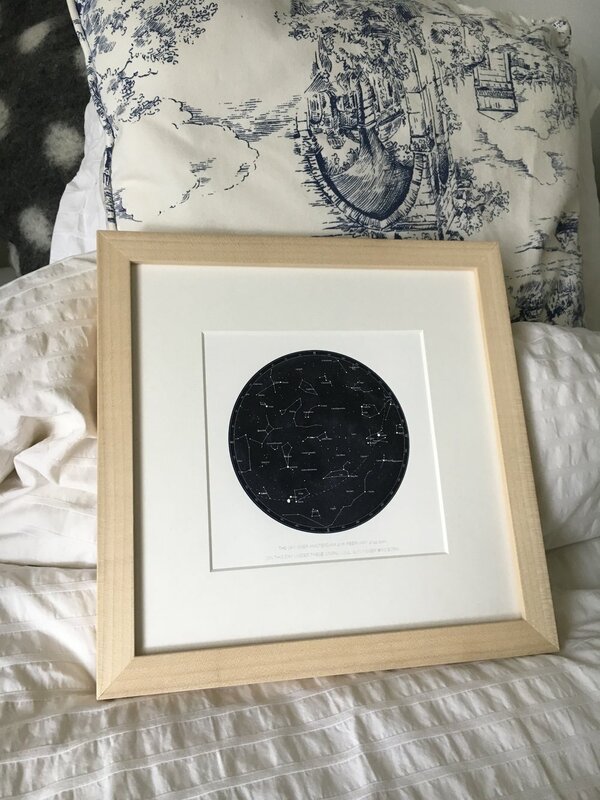 Each map is lovingly handmade using historically accurate astronomical data for a snapshot of the stars on a specific date past or future! The location is key to generating the night sky at that time whether you're in the Northern or Southern hemisphere! You have the option of a digital download that you’ll print yourself or choose from three sizes and I’ll print and post the finished map direct to you. As an artist, I’m fanatical about detail. 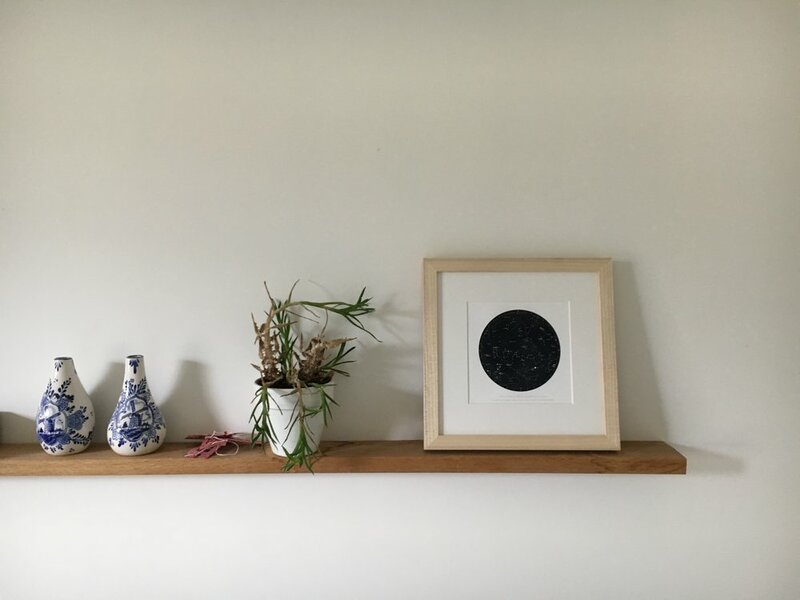 All maps are printed on white fine art 300gsm paper using the giclee process. You have my personal guarantee that your map will be in perfect condition.